Some people are not fan of porridge or oats. Take my mother for example, she made over night oats recently and after one or two bites threw them out. They just aren’t for her. I don’t quite fully understand it, for someone who loves muesli which is oat based(and risotto which has a similar theme of marrying grain with liquid) I am perplexed. I remember as a child heating my ready brek in the microwave and when it came out piping hot, adding sugar and chowing down on it. But we were not allowed to do this around my mother as the smell made her feel queasy, and if she was at the kitchen table with us, she would put a wall up (usually with a newspaper) between her and the sight of the porridge. Ah fond memories! 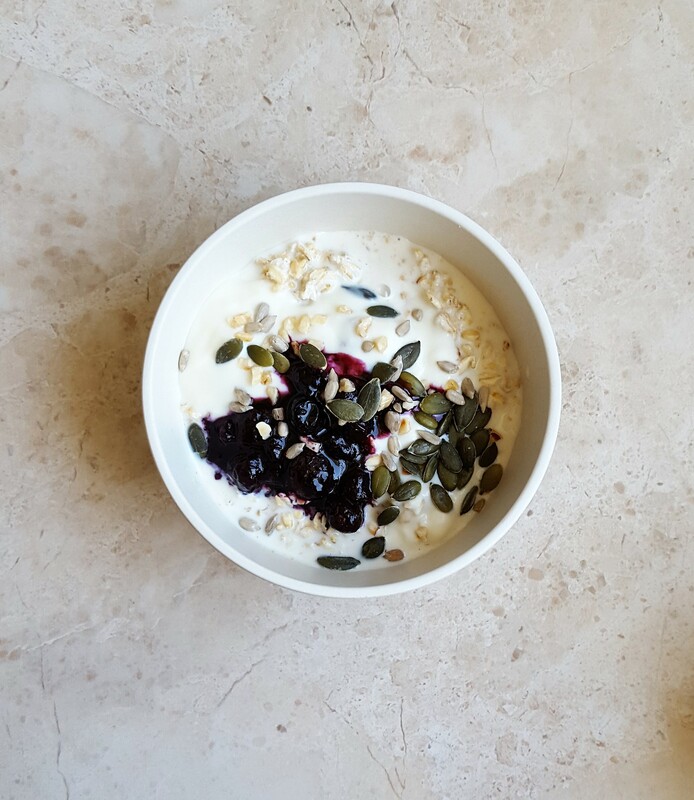 The great thing with overnight oats is that the taste can be anything you want, you can make carrot cake style oats or fruit loaded and you can add any assortment of nuts and seeds and toppings you like, the possibilities are really endless. 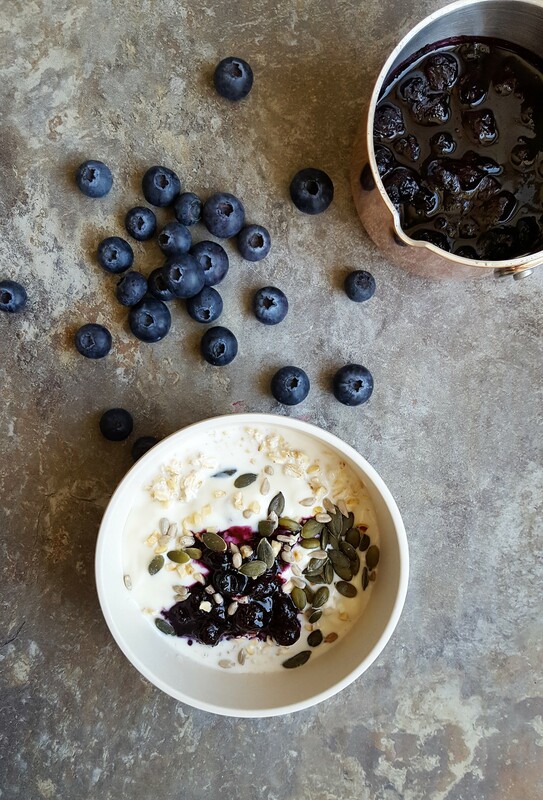 Oats in any form are fantastic for filling tummies big or small and fueling you for the day ahead. Sometimes, I actually give my son porridge for a late snack (when he refuses to eat dinner) as I know his little tummy will at least be full enough to get a decent nights sleep. I like to get most of my meal prep and chores done on the weekend. Probably not the best parenting move, but I do let my son have down time on the sofa watching a movie while I go about getting the beds changed, washes done and plan and prep food for the week ahead. Most importantly I get some breakfast options ready for us, usually over night oats as they won’t require any cooking and I can just grab a pot and race out the door. These are so simple! I have yet to get my son to love these as much as I do but they are my lifeline for hectic days. This isn’t a recipe per say, I mean, it is so simple that there isn’t much to remember and you can alter it to suit your tastes, this is just my guideline. Put the oats in a bowl or container, add the milk and pop the lid/clingfilm on and place in the fridge over night. The next day, I usually divide the mix into smaller travel Tupperware (with secure lids) and add yogurt, compot, seeds and nuts to it and then I have about 4 portions of breakfast ready for the weekdays ahead. 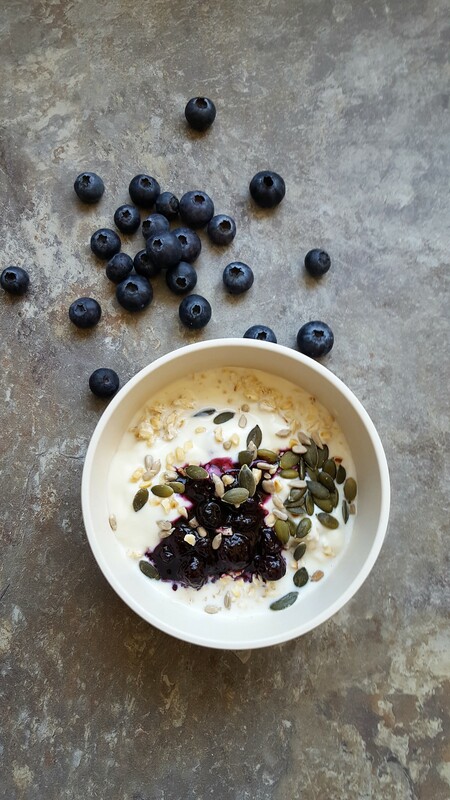 If I am making this for the weekend, in the morning I place the bowl of oats on the table and give a choice of toppings in smaller bowls and let everyone help themselves to the toppings. I find my son really enjoys this as he feels in control of his food and therefore enjoys it more and is more likely to eat it (he just turned 2 and is a fussy little eater).